Size: Diameter(Unstretched): 1.75" This is a child stretch style. One size fits most. 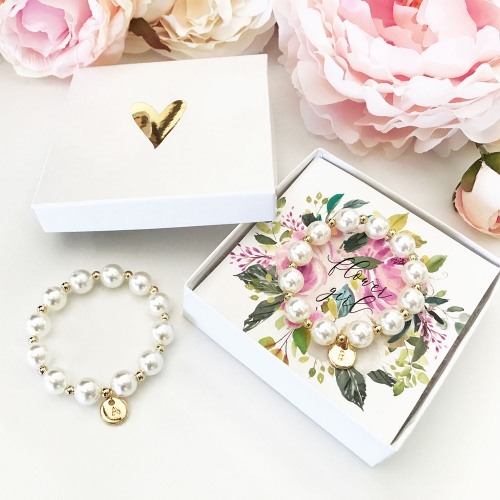 The Child's Monogram Charm Pearl Bracelet makes the perfect gift for the little girls in your bridal party! The faux pearl bracelet comes personalized with a gold initial of your choice. Material: Faux pearls and alternating gold-plated beads. This is a child stretch style. One size fits most.